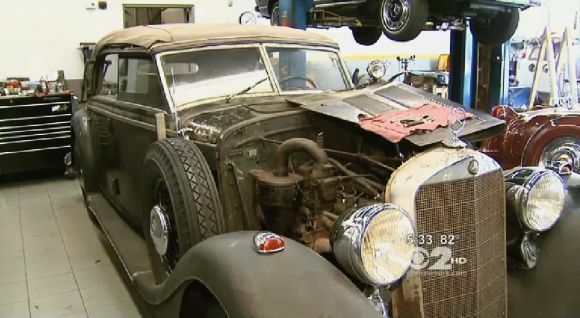 Rediff.com » News » In PHOTOS: That's Hitler's Mercedes! 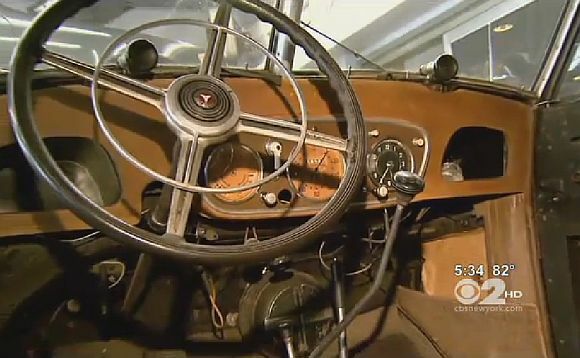 In PHOTOS: That's Hitler's Mercedes! 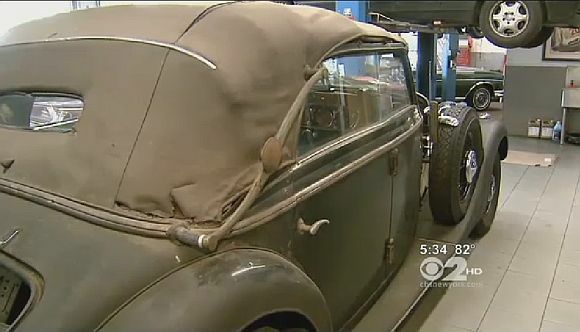 A New Jersey auto dealer was shocked to find that the vintage car he bought while searching on an online shopping store was built for the Hitler camp in 1942. 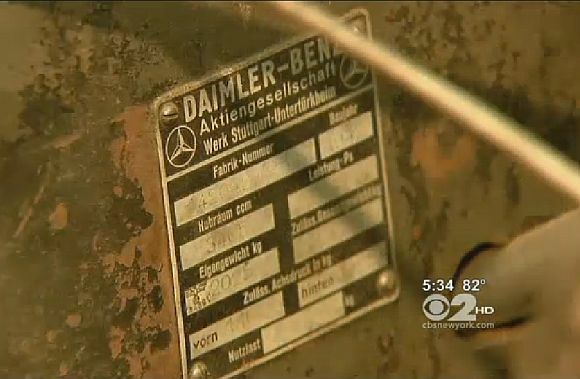 Zenop Tuncer, an auto dealer called up Mercedes to order parts for a vintage car he was repairing, and when he revealed the vehicle's serial number to the company, the reply was: "That's Hitler's car." Mercedes confirmed that the car was genuine, and was one of just eight made specially cars for Nazi officials. 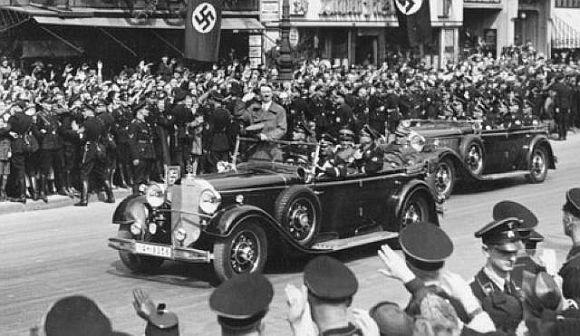 The 1942 Mercedes 320 Cabriolet D was part of a fleet built for senior officers of the Third Reich during the World War II. While the model being repaired in Edgewater, New Jersey was probably not flashy enough to be driven by the Fuhrer himself, it is likely to have belonged to one of his generals, The Daily Mail reported. Tuncer reportedly found the car while searching on eBay on behalf of a customer and property developer Fred Daibes. Daibes bought the car for around $180,000 -- but when he saw the unusual four-door convertible, he assumed it must be a fake. The best-known of the modified Mercedes 320s was one driven by Gestapo chief Reinhard Heydrich, which was written off after being struck by a bomb during a failed assassination attempt. The car would almost certainly not have been used by Hitler, who drove a 'top of the line' Mercedes 770, said an expert from Mercedes' headquarters in Germany. The vehicle still has signs of its disquieting origins -- a patch on the fender was apparently an attempt to remove the Nazi flag from the car, said Tuncer. According to owner Daibes the sinister Mercedes made its way to New Jersey via Chicago thanks to an enterprising American sailor. 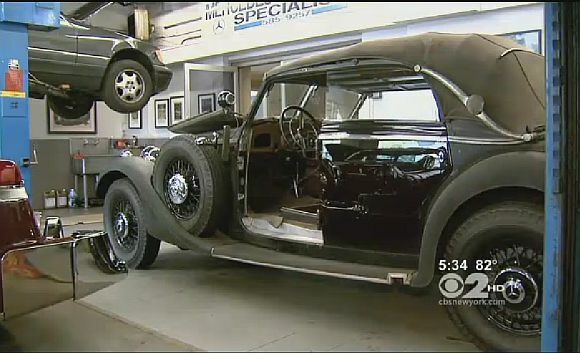 The sailor apparently painted the car black to enable him to smuggle it across the Atlantic, keeping it in his basement for decades before his grandson sold it to Daibes. The Mercedes still runs well, though its engine generates just 80 horsepower, with a top speed of no more than 80 mph. Daibes has already turned down an offer of $1.5 million for this unique car and he plans to hang on to this extraordinary find.